Cook chicken in water until tender. Remove and save one cup of broth. 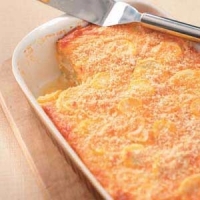 Cut chicken into bite-size pieces and lay in bottom of greased casserole dish (9 x 13-inches). Mix together the soups and sour cream. Spread over chicken. Sprinkle the herb dressing over soup mixture. Drizzle with melted butter and pour chicken broth over all. 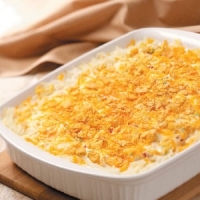 Bake at 325° (uncovered) for 35 to 45 minutes. 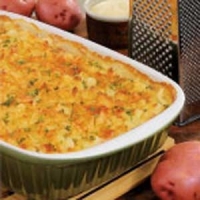 Recipe categories: Main dish, Casseroles, Chicken breast.